Planting new churches has been an important outreach strategy in my denomination, the Presbyterian Church (U.S.A.) and in many others. Who doesn’t rejoice at the birth of a new church? 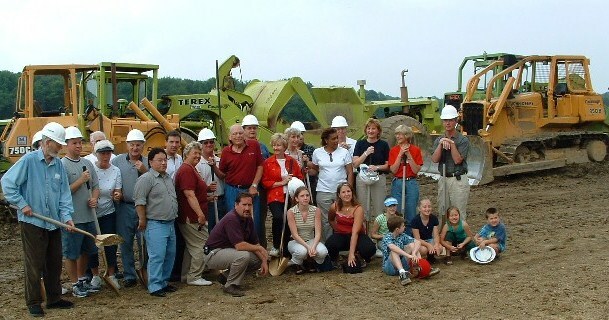 But the way we have typically practiced church planting, at least in my neck of the woods, has long left me with a troubled sense of concern. Typically a judicatory calls a pastor to plant a church, and the aim is to grow a congregation in numbers and resources as quickly as practicable. The new church has succeeded when it is able to build a building and be a programmatic church that can support multiple staff. I’ve always wondered: But what about poor people in poor and/or sparsely populated areas? What about people who do not have the physical and financial resources to “do church” this way? They need the gospel as much as anyone else, but it will be unlikely that they can “do church” they way affluent suburban churches do it. Here is a bracing post entitled 9 Reasons NOT to Plant a Church in 2012 from a blogger named Andrew Jones. I found this through Rachel Held Evans, who has one of the most helpful and enjoyable blogs that I read–highly recommended. Focusing on numbers and momentum is too narrow and shallow a way to judge how a new church plant is doing. It ignores signs of the Kingdom of God, such as transformation in people’s lives and in all the spheres of society. The people who are most likely to join a new church plant already have some background with church. What about people who are total outsiders? Focus on people predisposed to favor church culture puts churches in competition with one another over potential members, and this can lead to “sheep stealing” and failure to reach people who have never been reached. The typical model asks people to commit to church meetings and activities instead of making a commitment to the Kingdom of God. It focuses on making church members instead of making disciples of Jesus Christ. It encourages a consumer mindset. I would add that the poor aren’t only in urban areas. Poverty is everywhere, and sometimes it’s hidden amidst the beauty of our rural areas. Poverty can also take many forms. If the goal is to share the gospel and make disciples of Jesus Christ, there are many possible models for forming congregations and “doing church” just as there are many ways to farm and to garden. (See my earlier post on Seed Catalogs and Church Planting.) That also means that there can be lots of different ways of being faithful small congregations. Amend that: there are lots of ways to be faithful congregations, period. 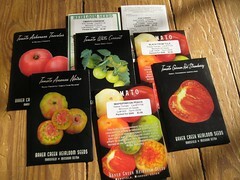 I love looking at the seed catalogs that fill my mailbox this time of year. I especially enjoy the ones that offer unusual plants and varieties suited to particular conditions and locales, and heirloom seeds. 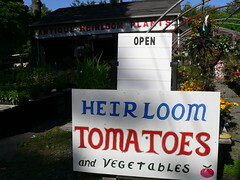 Heirloom varieties of vegetables are often the tastiest and most beautiful and interesting to look at. They are a delight for small home gardeners and lovers of fresh produce. Take tomatoes, for example. Large-scale growers must depend on only a few varieties that have been hybridized to be able to withstand rough handling, long storage and long journeys across country. Texture, and especially taste, are secondary. Monoculture is the practice of growing huge quantities of a single crop or single species. While this allows standardization and may lead to larger crops with minimal labor, it also causes problems. If a disease strikes to which that species has no resistance, the entire crop can be lost. Monoculture can also negatively impact the environment. Polyculture is the alternative. It involves techniques such as companion planting and–get this–the use of beneficial weeds. Thank goodness there are people who are committed to preserving the genetic diversity of plants and animals, too. When it comes to planting and cultivating communities of faith, we can take some lessons from farmers and gardeners. Test the soil. Take local conditions into account and plan accordingly. Develop a particular garden plan (new church model) for particular people in a particular context. Consider the heirloom varieties, such as house churches and monastic communities. Denominations should not rely on monoculture. There are many possible models for communities of faith. While it may appear that reproducing a particular model will lead to success, in the long run we may be able to produce a bigger, healthier, livelier crop (i.e. draw more people towards Jesus) if we practice polyculture. Remember that there are lots of different methods for feeding and watering the plants. Water cannons aren’t the only form of irrigation. In some situations the most efficient and effective method is to bury a drip hose near the roots and administer a slow, steady drip. And don’t forget what the Lord of the Harvest said: Some seeds won’t produce, but others will–thirty, sixty, and a hundredfold.